Melissa on the road: Bristol: St Paul's Carnival's 2018 return? 2018 will be the year of the 50th anniversary of Bristol's Caribbean Festival in Saint Paul's. 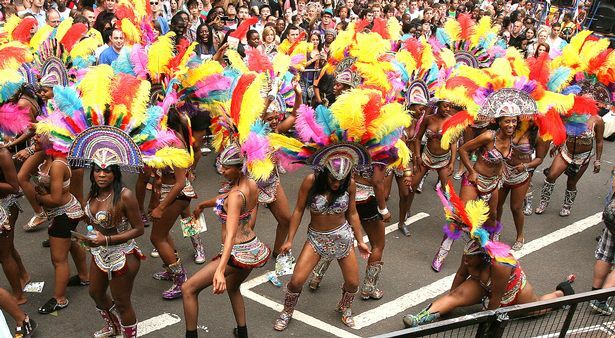 It's left a large hole in Bristol's summer calendar since it was cancelled in 2015, but this year will finally see the return of St Paul's Carnival. And the return of the annual celebration of African Caribbean culture could not come at a better time, as 2018 will mark 50 years since the event was first held. Plans are well underway for the landmark celebration, which will take place on Saturday July 7, and it's hoped this year's festival will help take the celebration 'back to its roots'. The first stage of planning the festival is now complete, with an event production team, as well as voluntary teams being formed to oversee soundsystems, the parade, community workshops and engagement, music and dance, and an education programme which will begin this month. As well as receiving confirmation they will be joining the Arts Council’s prestigious ‘National Portfolio’ 2018-22, the St Pauls Carnival Community Interest Company (CIC) successfully applied for and received funding from Bristol City Council’s Imagination Fund for the operation of this year’s carnival. Organisers are now looking to recruit a Managing Director alongside a number of key positions. There are also internship opportunities with Creative Youth Network and it’s You Produce scheme . Together the two will offer an internship in festival production aimed at 18-25 year olds. This will offer the opportunity for them to learn the fundamentals of event production on projects including St Pauls Carnival, Shambala and Port Eliot Festival. Marti Burgess, CIC non-executive director, said: “St Pauls Carnival is of huge cultural significance, not only for the area of St Pauls itself but for Bristol as a whole. For so many people Carnival is more than just a great party; it’s about culture, heritage and community. The St Pauls Carnival Community Interest Company (CIC) is needing to raise an additional £200,000 for 2018's carnival and is inviting any partners or interested funders to get in touch.